For some time now, technology news headlines have been predicting that automation — sophisticated robotics, artificial intelligence (AI), and digital — is going result in significant decrements in human jobs. The latest survey to weigh in is one conducted by the World Economic Forum (WEF). Its conclusion? Automation will be doing roughly 50% of the jobs humans now do by 2025, just seven years away. So far, that roughly tracks with other predictions. A Stanford University gathering on the future of work, for example, echoed the 50% figure but forecast that the year it was achieved would be 2030 rather than 2025. Yet the news for human workers isn’t grim in many fields. The WEF survey, which polled business leadership at 300 companies worldwide in 20 countries, believe that jobs done by humans will actually swell in many fields even as machines take over many of the ones done now. The net result will be more jobs for humans created than vanishing. Precision medicine, for example, may need technologists and specially trained surgeons. Companies developing self-driving car technology may need ethicists and policy-makers to determine algorithms that the vehicles follow. If a self-driving car can prevent an accident by speeding up past the posted limit, for example, should it? Ultimately, the WEF survey estimates that 133 million positions will be created worldwide, while 75 million workers lose their jobs to advanced automation. This is one of the rosier estimates, however, as a variety of institutions forecast different scenarios. Three years ago, for example, the Bank of England forecast that net-net 80 million U.S. jobs and 15 million U.K. jobs might be lost by 2035. Consultants at McKinsey estimated that the number of jobs created and the number of jobs lost to automation would run neck and neck by 2030 in a report published late last year. Part of the variation in estimates is caused by a variation in the impact of automation by sector. According to the WEF, jobs eliminated due to automation is likely to have the most impact in sectors such as mining, information technology, and consumer companies. Professional services, on the other hand, may see little impact. Independent workers will play an important role in the workforce of the future. There is rough agreement on what the work landscape will look like, however. 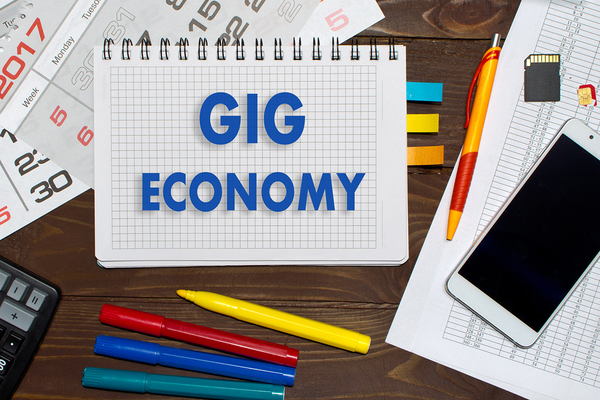 Nearly all surveys who address the issue believe that independent contractors will continue to provide more and more of a percentage of the labor done. There is also widespread agreement that workers will need to train throughout their lives as the workplace evolves. New processes, new systems, and new paradigms will make continual learning part of the workplace environment. This dovetails of course, with emergent automation. The WEF survey forecasts that more than 50% of employees will need crucial retraining if they are to continue to be employed and be able to fulfill potential new roles.